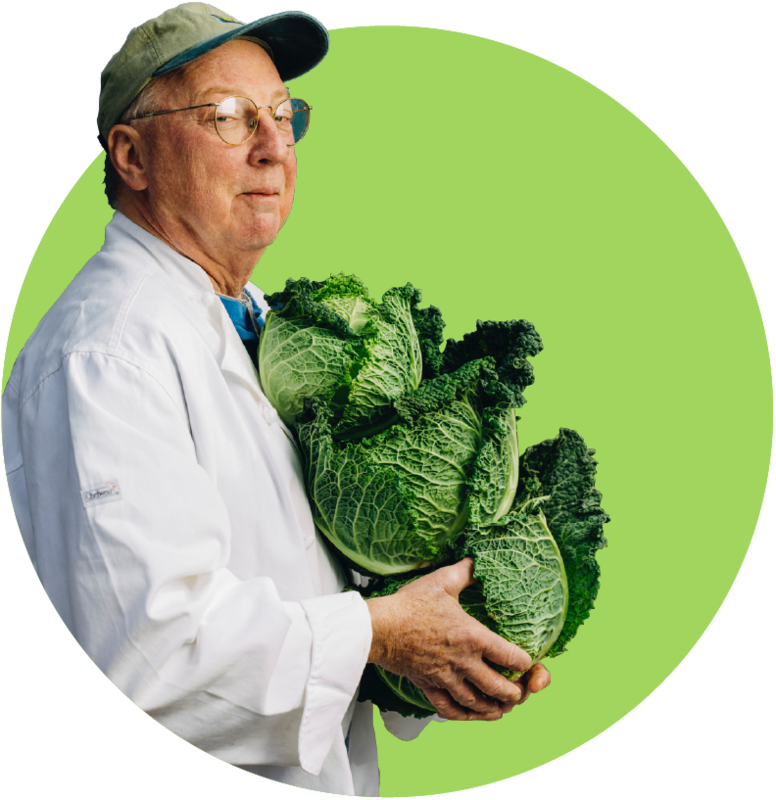 Each weekend, an open air Latin market goes unnoticed by tourists – and most locals – tucked under an overpass in the Algiers neighborhood, across the river from New Orleans’ French Quarter. In this project, we highlight the stories of vendors from Mexico, El Salvador, the Dominican Republic, and Honduras to illustrate how these individuals use the markets to forge their own cultural and economic spaces. 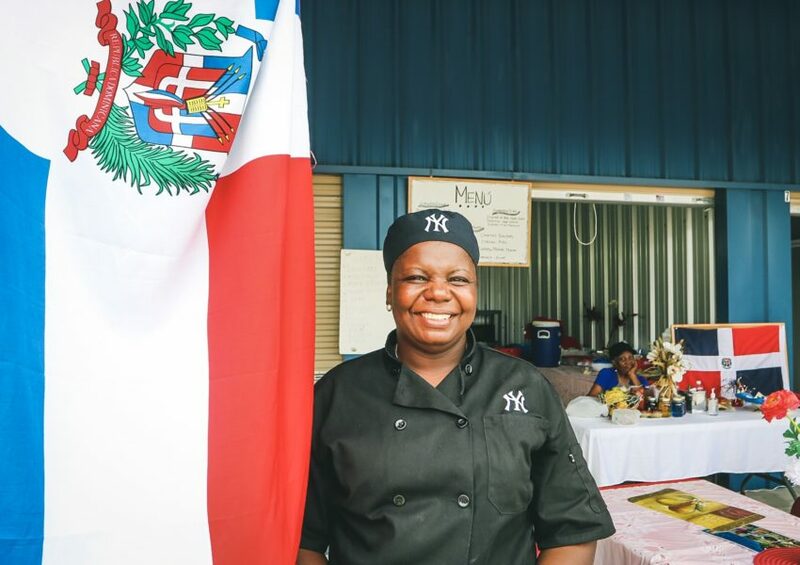 Xiomara Osoto is the owner of Delicias El Jamo, located in the Algiers Pulga in New Orleans, Louisiana. 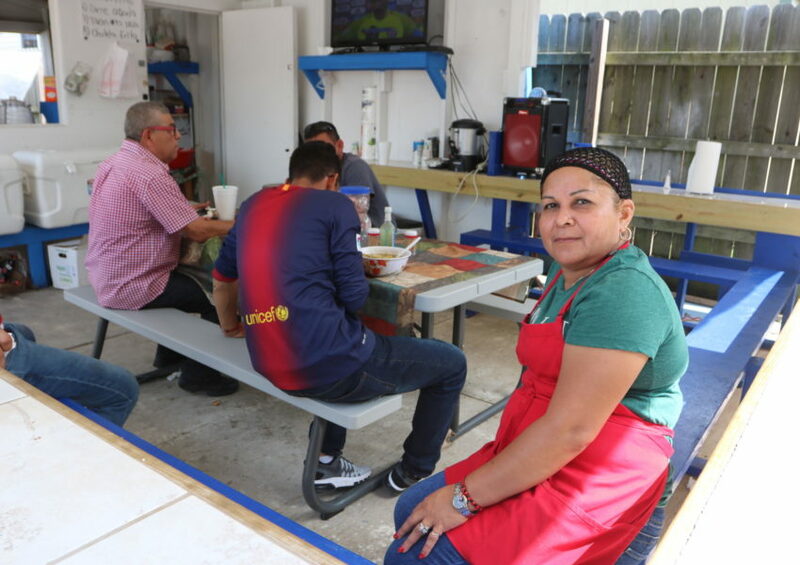 Venecia Gonzales is the owner of El Recoqueo DR, located in the Westbank Pulga in Harvey, Louisiana. 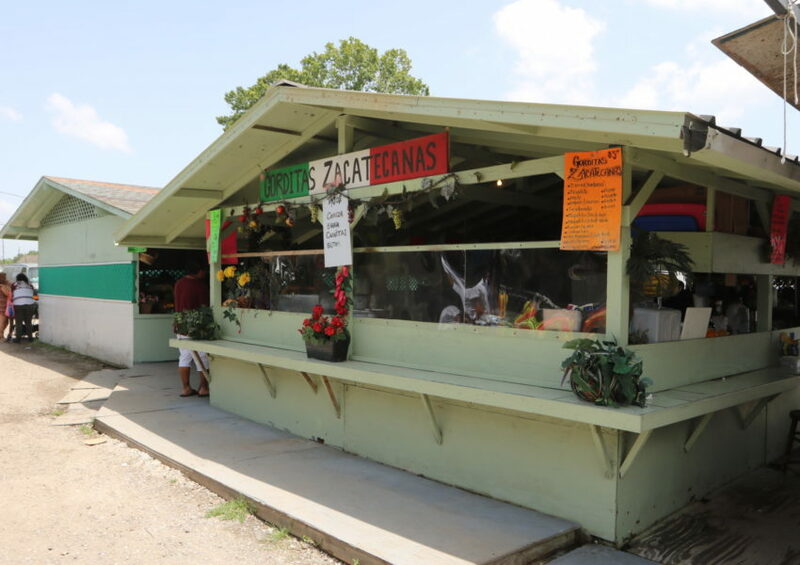 Sara Avila is the owners of Golosinas Sarita, located in the Westbank Pulga in Harvey, Louisiana. José Javier owns Carnitas Shalom, located in the Algiers Pulga in New Orleans, Louisiana. 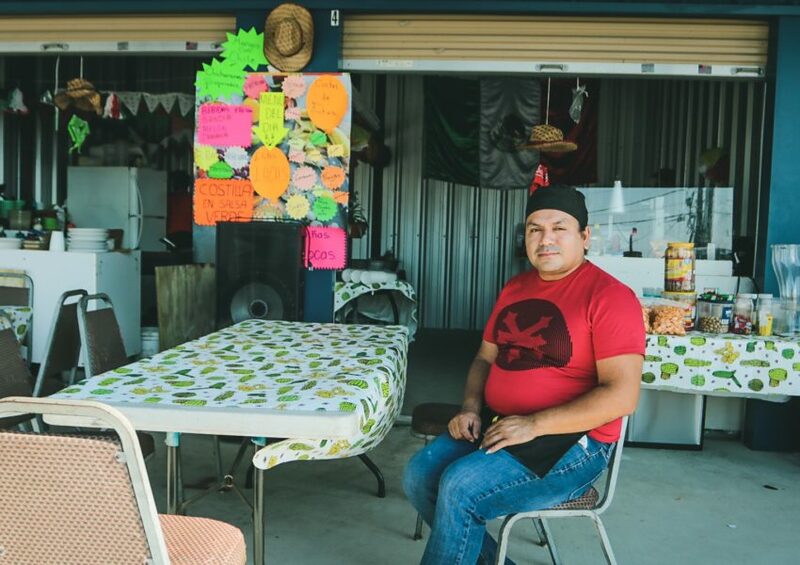 Ivan Cortez Castillo is the owner of Antojitos Garibaldi, located in the Westbank Pulga in Harvey, Louisiana. 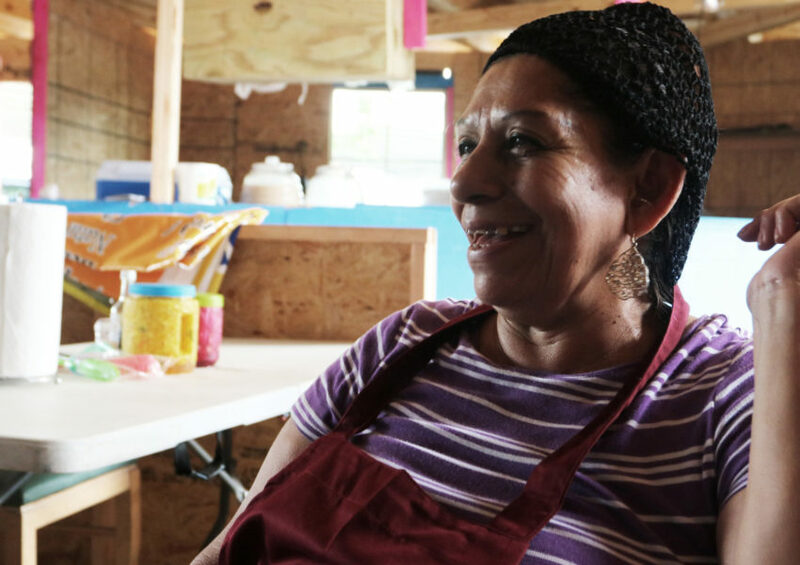 Ismaria Guzmán is the owner of El Rinconcito de Piguey, located in the Westbank Pulga in Harvey, Louisiana. 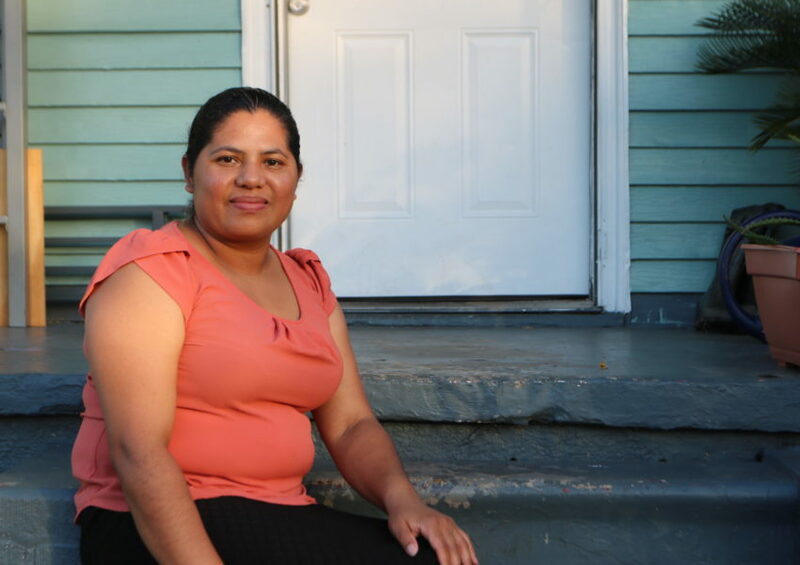 Imelda Perez is the owner of Gorditas Zacatecanas, located within the Algiers Pulga in New Orleans, Louisiana. 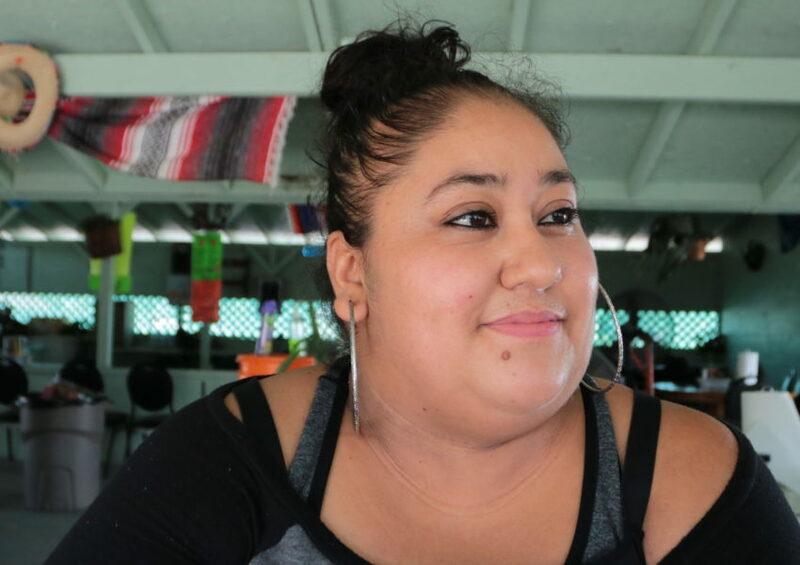 Claudia Beatriz Portillo is the owner of Pupusas Mixtas, located in the Algiers Pulga in New Orleans, Louisiana. Benita Villareal is the owner of El Rinconcito Catracho, located in the Algiers Pulga in New Orleans, Louisiana. Each weekend, an open air Latin market goes unnoticed by tourists — and most locals– tucked under an overpass in the Algiers neighborhood, across the river from New Orleans’ French Quarter. Known as La Pulga, the market bustles with reggaeton music blasting from speakers, and vendors sell anything from Lionel Messi soccer jerseys to live chickens. Makeshift booths with basic plywood infrastructure line up along the dirt paths that wind through the labyrinth of individual entrepreneurs. Food vendors set up within the market, offering Latin American specialties like pupusas, esquite, birria, and caldo de mariscos (seafood soups). Fruit stands scattered throughout the market provide freshly squeezed juice — a reprieve from the heat and humidity while shoppers pass through the packed corridors. In the course of a day’s visit, a family could get back to school supplies, a haircut, and a three-course meal. Prior to Katrina, the outdoor market was run and frequented predominantly by the black community in the Algiers neighborhood. 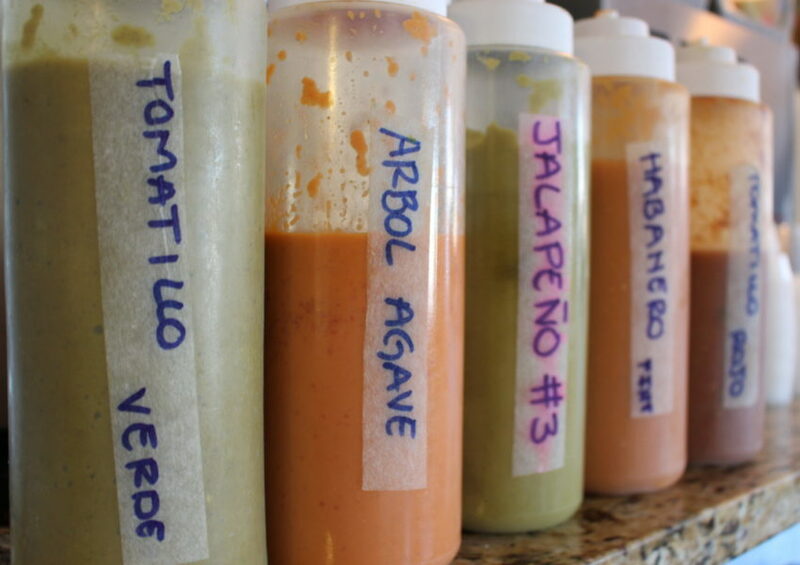 After the storm and with the increase in the Latinx population in the city, Central American and Mexican vendors have expanded the market providing new products and ingredients from south of the border. 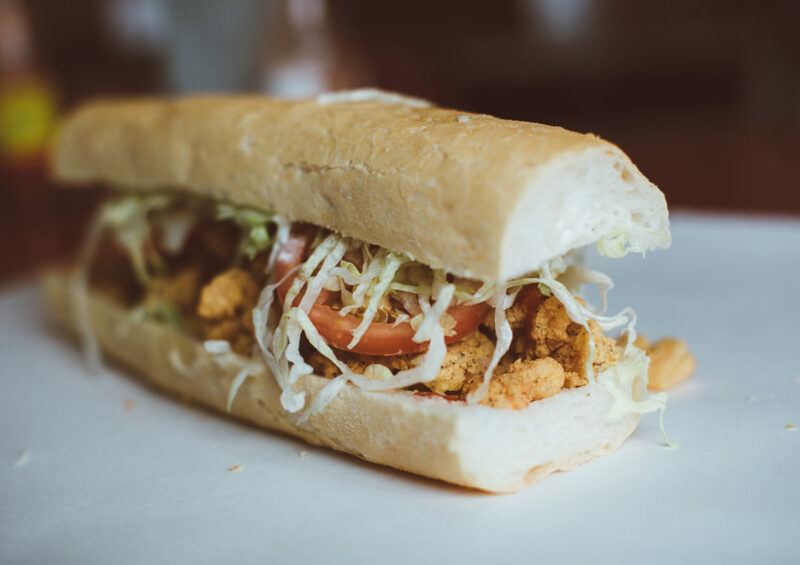 Just three miles south of the Algiers market, the Westbank Pulga, which opened in late 2016, offers a similar mélange of businesses. On weekends, clientele peruse the market, exploring the antiques, used clothes, and food items on display in each booth. 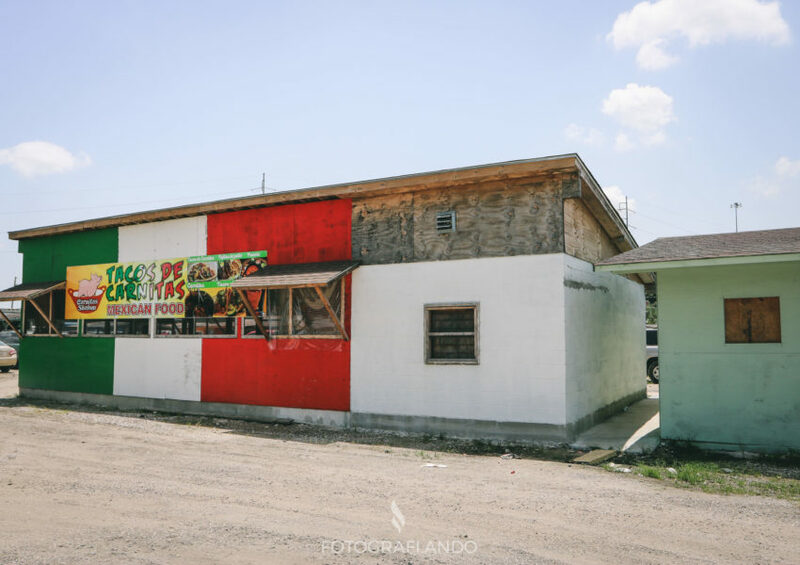 The Westbank Pulga looks more like a storage warehouse than a market, with blue, garage-like, roll-up doors, a red metal roof, and concrete floors. In the market, one Oaxacan family’s stand consists of a single table displaying comidas tipicas from the southern Mexican region. Some vendors have homemade booths, constructed out of wood, with decorations that give nod to their countries of origin. 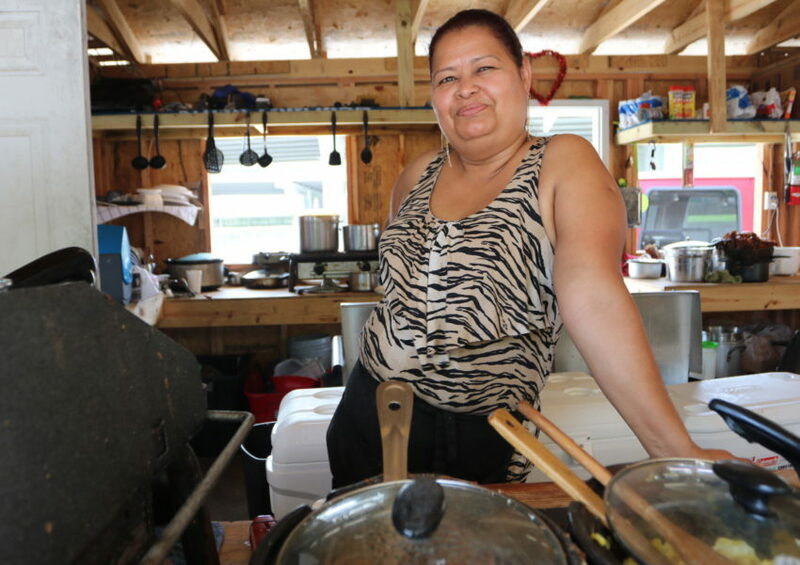 Vendors that rent storage units prepare food in makeshift kitchens built inside the units. They serve food to customers that dine at tables directly in front of their storage space. 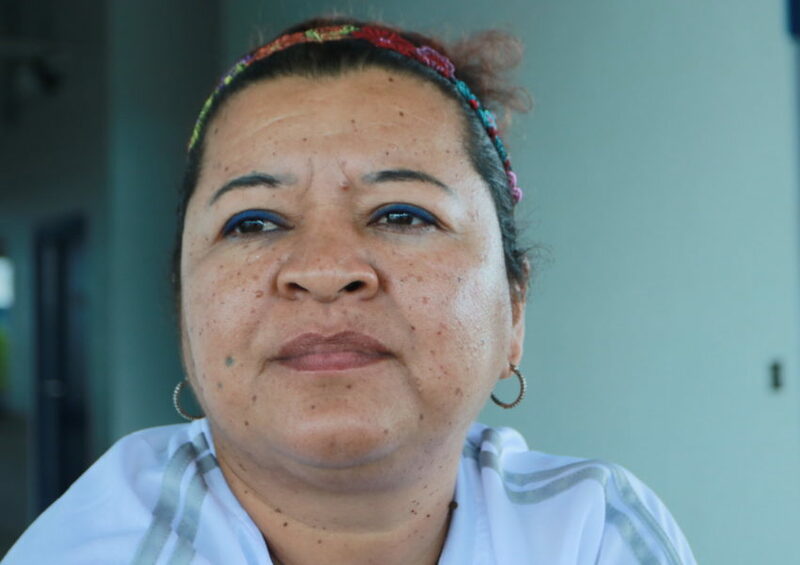 In this project, we highlight the stories of vendors from Mexico, El Salvador, the Dominican Republic, and Honduras to illustrate how these individuals use the markets to forge their own cultural and economic spaces that help make up El Sur Latino. Cada fin de semana, un mercado al aire libre desapercibido por turistas – y la mayoría de residentes locales– tiene lugar, metido bajo una pasarela en el Barrio Algiers, al otro lado del río del Barrio Francés en New Orleans. Conocido como La Pulga, se escucha la música reggaetón retumbar de los altavoces, y los comerciantes venden cualquier cosa desde una camiseta de Lionel Messi hasta pollos vivos. Casetas improvisadas con una infraestructura básica de madera contrachapada forman una fila a lo largo de senderos de tierra que serpentean por el laberinto de emprendedores individuales. Vendedores de comida se instalan dentro del mercado, ofreciendo especialidades de Latinoamérica como pupusas, esquite, birria y caldo de mariscos. Puestos de fruta esparcidos por todo el mercado ofrecen jugos recién exprimidos—un alivio del calor y la humedad mientras los clientes pasan por los pasillos atestados de gente. Durante el transcurso de una visita de un día, una familia es capaz de conseguir materiales escolares, un corte de pelo y una comida de tres platos. Antes de Katrina, el mercado al aire libre era operado y frecuentado predominantemente por la comunidad negra en el Barrio Algiers. Después de la tormenta y con el aumento de la población latinx en la ciudad, los comerciantes mexicanos y centroamericanos han ampliado el mercado al proveer productos nuevos e ingredientes provenientes del sur de la frontera. Solo a tres millas al sur del mercado del Barrio Algiers, la Pulga Westbank, que abrió a fines del año 2016, ofrece una mezcla de empresas similares. Los fines de semana, la clientela pasa por el mercado, explorando antigüedades, ropa usada y comidas que se exhiben en cada puesto. La Pulga Westbank parece más como un almacén grande que un mercado, con puertas enrollables de garaje azules, un techo de metal rojo y pisos de concreto. Dentro del mercado, el puesto de una familia oaxaqueña consiste simplemente en una mesa que exhibe comidas del sur de México. Algunos vendedores tienen puestos hechos en casa, construidos de madera, con decoraciones que evocan los países de su origen. Vendedores que alquilan espacio preparan comida en cocinas improvisadas dentro de los espacios alquilados. Estos les sirven comida a sus clientes que comen en mesas que están directamente en frente de los espacios que alquilan. En este proyecto, resaltamos las historias de vendedores de México, El Salvador, la República Dominicana y Honduras para ilustrar cómo estos individuos usan el mercado para crear sus propios espacios culturales y económicos y que ayudan a hacer El Sur Latino. The stories of French bread bakers of Vietnamese, German, and Italian heritage in the Crescent City.